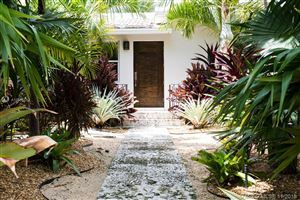 Miami Beach boasts a number of stunning single-family home neighborhoods, one of which is Normandy Island. Its real estate offers buyers luxury waterfront living with security and seclusion. Listings are comprised of reasonably priced residences that entice many. Whether you find a property that overlooks the golf course or the canal, you can’t go wrong when it comes to setting on Normandy Island. Check for homes for sale below and pursue your own piece of opulent comfort.